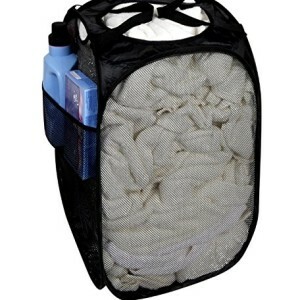 The DRAGONN deluxe pop up hamper holds up to 2 loads of laundry making it a great space saver for any home. The durable Ventilated mesh material allows clothes to breathe. , yet doesn’t let everyone see what’s inside. Easy carry handles let you transport this portable hamper anywhere. 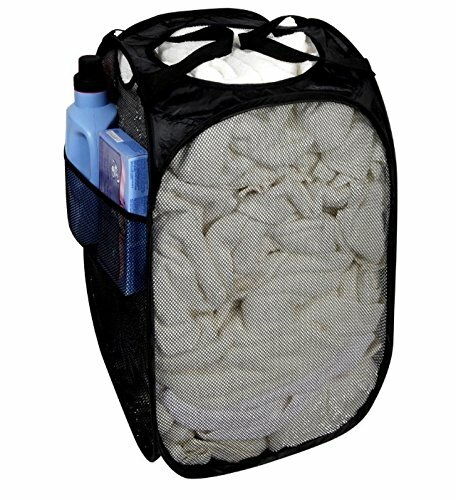 Side pocket gives ample storage space for laundry accessories, delicates, socks, or your personal items. When not in use, pop up hamper folds up small and flat for easy storage.